The 2016 ISU European Figure Skating Championships will open in Bratislava, Slovak Republic, on January 27. The ISU European Figure Skating Championships return to Bratislava for the fourth time in history. Bratislava has hosted the ISU European Figure Skating Championships in 1958, 1966 and 2001. 159 skaters from 33 ISU Members have been entered for the Championships. Skaters/couples need to have obtained a minimum total technical score in Short Program and Free Skating in order to compete at the European Championships. Two reigning European Champions are back and hope to defend their title. In the Men’s event reigning European Champion Javier Fernandez (ESP), 24, is aiming at a fourth consecutive title but he has to watch out for strong competitors. Fernandez took the silver medal at the ISU Grand Prix of Figure Skating Final last month and comes with a season best of 292.95 points to Slovakia. Reigning European silver medalist Maxim Kovtun (RUS), 20, wants to challenge Fernandez and has a seasons best of 236.38 points. 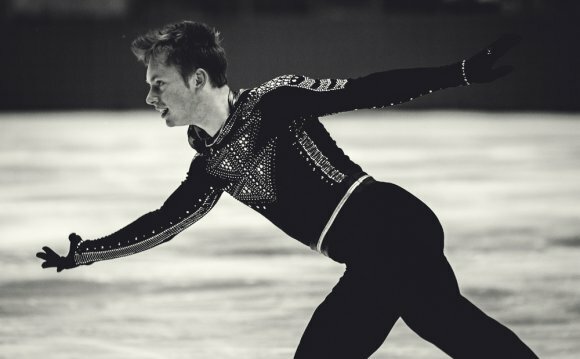 Newcomer Mikhail Kolyada (RUS), 20, who debuts at the ISU European Figure Skating Championships has shown lot of potential earlier this season (seasons best 247.97 points), but the experienced Michal Brezina (CZE/seasons best 222.49), 25, wants to be back on the European podium. Alexei Bychenko (ISR), who ranked fourth at the 2015 European Championships, as well as Daniel Samohin (ISR), 2011 European Champion Florent Amodio (FRA) and Jorik Hendrickx (BEL) are in the medal hunt as well. Three Russian Ladies headline the Ladies event: Reigning Grand Prix Final Champion Evgenia Medvedeva, 16, 2015 European bronze medalist Elena Radionova, 17, and 2015 European bronze medalist Anna Pogorilaya, 17. Medvedeva has had a stellar first senior season so far, tops the seasons best list with 222.54 points and has her eyes set firmly on the podium in Bratislava. World bronze medalist Radionova claimed bronze in the Grand Prix Final and achieved a seasons best of 211.32 points at Rostelecom Cup. After taking silver a year ago, she wants to challenge for gold this time. Pogorilaya (seasons best 214.07 points) completes the strong Russian Ladies team. On home ice, Nicole Rajicova (SVK) wants to get to the podium as close as possible. Others to watch include Joshi Helgesson (SWE), Isabelle Olsson (SWE), Angelina Kuchvalska (LAT), Laurine Lecavelier (FRA) and Mae-Berenic Meite (FRA). Defending European Champion Elizaveta Tuktamysheva (RUS) did not qualify for the Russian team for Bratislava. Olympic Champions Tatiana Volosozhar/Maxim Trankov (RUS) are back in action and hungry to regain their European title after sitting out the past season. The 2013 World Champions come with a seasons best of 202.79 points, but competed only one Short Program in the Grand Prix series. Competition should come from their teammates, reigning ISU Grand Prix Final Champions Ksenia Stolbova/Fedor Klimov (RUS), who set a personal best of 229.44 points in Barcelona. Five-time World Champion Aliona Savchenko (GER) is back with a new partner, Bruno Massot, and the German Champions look ready to challenge for a medal in Bratislava (seasons best 214.42 points). Other podium contenders include 2015 European bronze medalists Evgenia Tarasova/Vladimir Morozov (RUS), Vanessa James/Morgan Cipres (FRA), Nicole Della Monica/Matteo Guarise (ITA) and Valentina Marchei/Ondrej Hotarek (ITA). 2015 European Champions Yuko Kavaguti/Alexander Smirnov (RUS) had to withdraw as Kavaguti suffered an injury on January 20. The Ice Dance competition promises to be a close battle between the leading teams. European and World Champions Gabriella Papadakis/Guillaume Cizeron (FRA) sat out the Grand Prix season, but are back and seem ready to face the challenge coming from ISU Grand Prix Final silver medalists Anna Cappellini/Luca Lanotte (ITA). The Italians looked in strong form throughout the Grand Prix and scored a seasons best of 176.37 points in the Final. Three Russian teams hope to step on to the podium as well: 2013 European Champions Ekaterina Bobrova/Dmitri Soloviev (seasons best 169.33 points), 2015 European bronze medalists Alexandra Stepanova/Ivan Bukin (seasons best 160.64 points) and Victoria Sinitsina/Nikita Katsalapov (seasons best 167.40 points). Other contenders to watch include Charlene Guignard/Marco Fabbri (ITA), Isabella Tobias/Ilia Tkachenko (ISR), 2014 European bronze medalists Penny Coomes/Nicholas Buckland (GBR) and Federica Testa/Lukas Csolley (SVK).